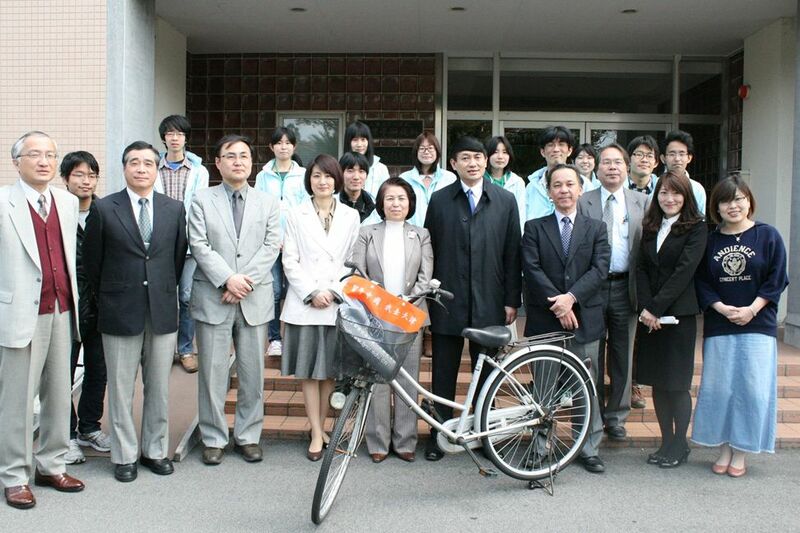 On April 8, 2013, delegates from Tianjin Normal University visited Mie University. Mie University and Tianjin Normal University in China concluded Agreement on academic cooperation and student exchange in 2004. In addition, between Faculty of Education of Mie University and College of International Education and Exchange concluded Double Degree Program for Undergraduate Students. For this time, Prof. Zhong Yinghua, Vice President; Prof. Yang Wei, Vice Director for International Center; and Prof. Lin Shuxin, International Center visited Mie University to expand our mutual exchange. 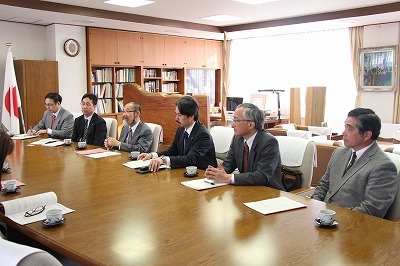 At the meeting, we discussed further exchange activities between two universities. 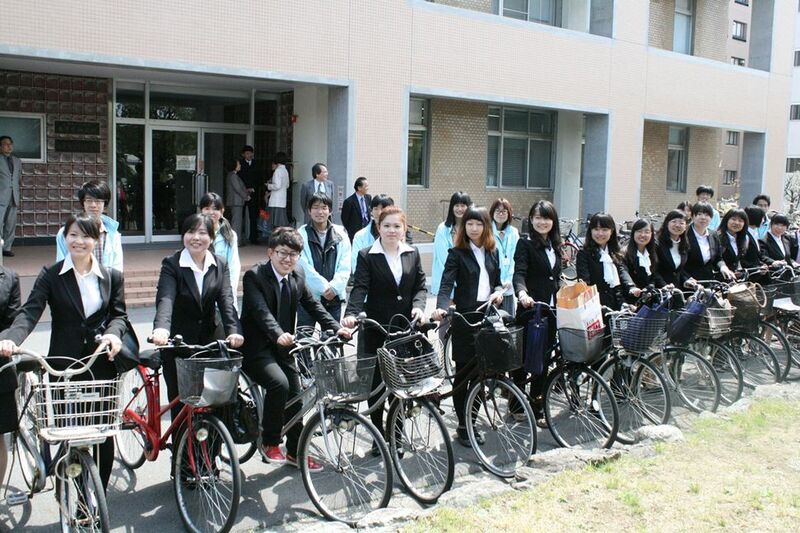 On April 9, we had a ceremony to give our recycled bicycles to 19 students and one faculty from Tianjin Normal University at the Faculty of Education. This is a part of environmental activities of Mie Univerity by Environmental ISO Student Committee to support international students studying at Mie University. Vice President, Prof. Zhong express their appreciation to the committee and hopes for the further active exchanges between two universities.